Leonardo da Vinci in 1508 noted that sinking the head in a glass bowl with water modified the vision. 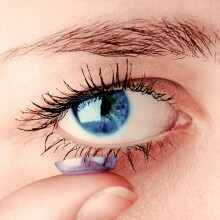 That was the origin of what we now know as contact lenses or lenses. 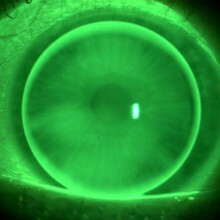 Contact lenses are an excellent option for the correction of defects of vision at any age. Suitable for myopia, hyperopia, astigmatism and presbyopia (farsightedness), represent a solution to look properly adapted to the needs and lifestyle of each user. Did you know that there are some lenses that you use while you sleep and the next day, when you wake up and remove them, you see perfectly without glasses or contact lenses, and this is possible through a therapy called orthokeratology? Or even if your case may seem complicated, including you have suffered any trauma or eye laser surgery without success, there may be a solution for you? ÒPTIC Platja d’Aro collaborates with leading laboratories to offer the most advanced lenses in the market. 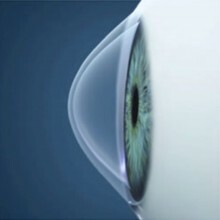 Conòptica, CooperVision, Alcon, Bausch & Lomb, Johnson & Johnson and Mark Ennovy work to achieve the highest level of satisfaction in our adaptations lenses. We tell you how.